Currently I am investigating this section more each day. We have yet to embark on making our own food as milk is the number one source of nutrients at the moment – I have all the equipment and will share recipes with you after the six month mark. In the mean time, all I have to share with you are body products that might spark interest in the Paleo Mama & Papa. The Honest Company: Thus far we have only purchased the body wash (double pack sold at Costco). The company has quite an extensive line, including laundry detergent, body oil, shampoo, etc. If you love this stuff as much as your baby then have no fear because they have another line geared toward the older crowd! 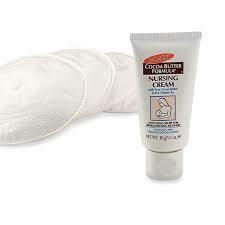 Mum + Bub: I have only read wonderful things about these products, I am eager to buy some and report back how they work. They list that they are free from: phytoestrogen, parabens, added hormone disrupters, petroleum oils, phthalates, dioxanes from sulfates, gluten and soy, petrochemicals, DEA and artifical colors. Well my autocorrect for spelling errors doesn’t even recognize some of the proceeding words; I hope my child’s body products do not contain these chemicals. The featured products below are the following: soothing ointment, hair & body wash and ultra-gentle lotion. 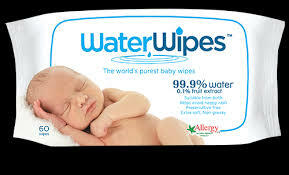 Water Wipes: We searched high and low for clothes that only have water on them – still no luck finding such a simple product in America. The closest thing we have come across are these wipes that consist of purely H2O (99.9% water & 0.1% fruit extract). 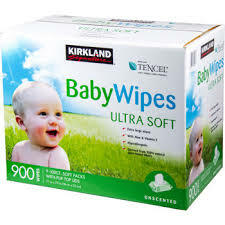 Kirkland Baby Wipes: Surprisingly these wipes have yet to cause diaper rash! Most brands contain alcohol and other ingredients that dry out the skin. We have experimented with quite a few brands; trust us if we say they work since our favorite “wipe” is a wet paper towel. These can be purchased at your local Costco, how convenient. Cocoa Butter Formula: If this cream tastes as good as it smells then that explains why the baby is calm after he starts eating 😛 This cream is definitely less thick and oily than the Lansinoh Lanolin cream (the brand that most buy, it is extremely messy and stays on your hands for a while despite washing them vigorously with lots of soap and water). 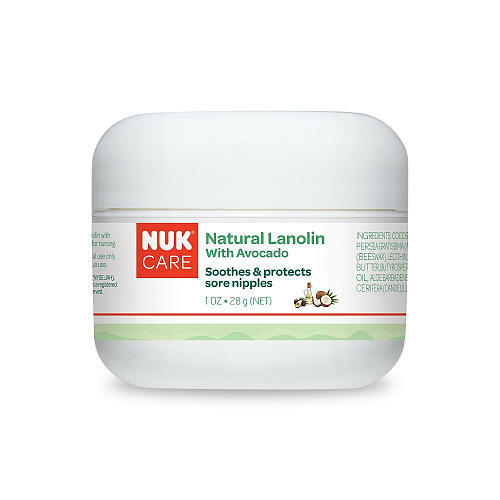 NUK Care Natural Lanolin with Avocado: This is another natural alternative with wonderful health benefits from avocado oil to soothe sore spots. Again, this product is 100% safe for the baby to consume while breastfeeding.